A little while ago I caught the most amazing deal shopping online at Charlotte Russe! I love buying my shoes from Charlotte Russe because they’re extremely affordable and not super cheap looking. You can always catch a nice sale on shoes but the best deal is their BOGO sales. I’ve been eyeing these two booties for a while and finally decided to pick them up when Charlotte Russe had a BOGO $15.50 sale. I’m glad this sale doesn’t require a discount code at checkout because I was able to use the code YESPLZ for an additional 10% off and free shipping! This brought my total down to a little over $62 after tax. Awesome, right?? Check it out! I’ve bee wanting a cute pair of leopard print flats since for a while now. I just adore animal print! On a recent trip to the mall I bopped into Wetseal. Not expecting to find anything good really. But these shoes were a win! 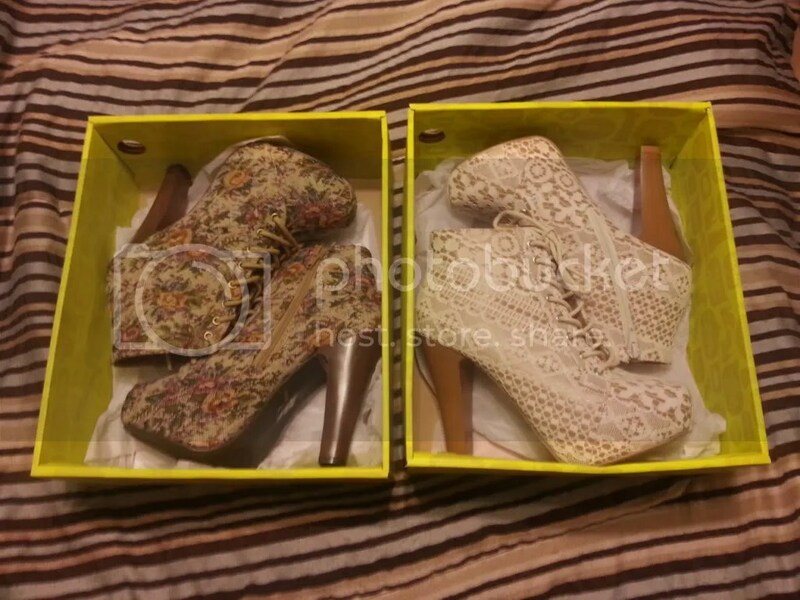 Charlotte Russe is known to throw awesome sales on shoes. Whenever I receive a text or email from them it’s a real struggle to resist the urge to BUY BUY BUY! This time, it was spring break and I NEEDED shoes so I indulged in a little online shoe shopping. I ordered a pair of metallic gold peeptoe pumps and a pair of black ruffle back wedges.